Located in Gopeng, about 24km south of the capital city of Ipoh in Perak, this limestone cave is one of the largest in Peninsular Malaysia. Though not as big as Niah Cave and Mulu Cave in Sarawak, beginners to caving exploration will be glad to know that this cave is easy to explore. 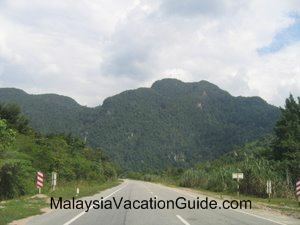 The Gunung Tempurung and Gunung Gajah that are visible from the road as you head towards Gua Tempurung in Gopeng, Perak. The interior of the cave which is made up of marble and limestones. 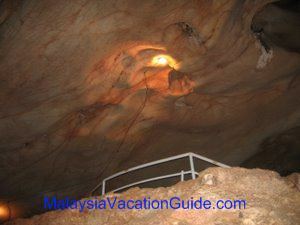 There are lighting and platforms that have been built for the initial part of the cave to enable you to walk with ease. If you are more adventures, you can choose to go deeper into the cave depending on which tour package you take. Remember to take your camera and take pictures of the many stalagmites (structure that grows from the ground upwards) and the stalactites (structure that grows from the top of the cave). A subterranean river flows underneath the caves. 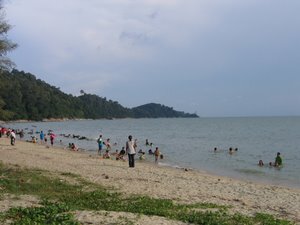 The water is crystal clear and is still unpolluted in this part of the world. The operation hours of the cave is from 9:00am to 5:00pm everyday. There are 4 tour packages with different pricing that you can choose in exploring the cave. This tour takes you approximately 20 minutes to reach to platform 3 known as Golden Flowstone. You will be able to see the limestones that resembles a golden colour at this platform. Take a breather, snap some pictures and head back to the entrance of the cave. Total duration of this tour will take about 40 minutes. 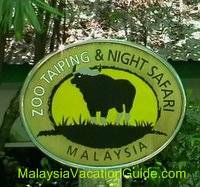 Tour Time: 9:00am to 4:00pm everyday. This tour package needs a minimum of 5 adults that takes you 50 minutes to reach to platform 5 known as Top Of The World. It is named so because this location is the tallest in the entire cave. Total duration of this tour is 1 hour and 45 minutes. Tour Time: 9:00am to 3:00pm everyday. 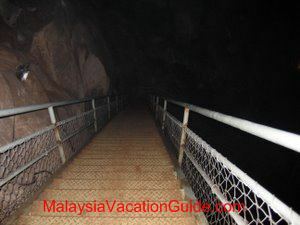 The well built metal structure platforms that help you to walk with ease inside the cave. 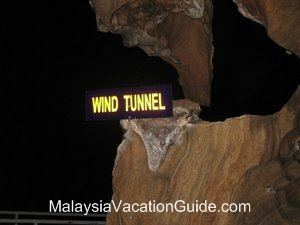 If you are feeling tired, take a break at the Wind Tunnel where you will be able to experience breeze of cold wind that flows on this tunnel due to the difference in pressure in the cave. 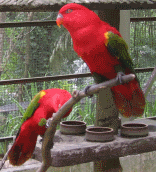 This tour package needs a minimum of 8 adults that takes you for a journey of about 2.4km. You will cover the Golden Flowstone and Top Of The World after which you will be guided back to the entrance using the underground river. 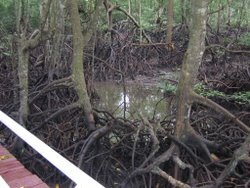 Be prepared to get wet as you walk along the cold and crystal clear river. Total duration needed for the entire tour is 2 hours and30 minutes. Tour Time: 9:00am to 12:00pm everyday. 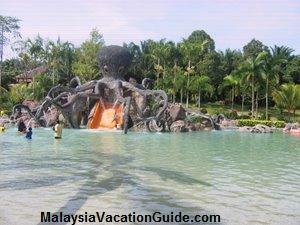 This tour is the most challenging tour with a total duration of 3 hours and 30 minutes to complete. 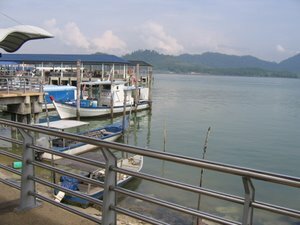 You will cover a distance of 3.8km from the start at the entrance to completion through the underground river. 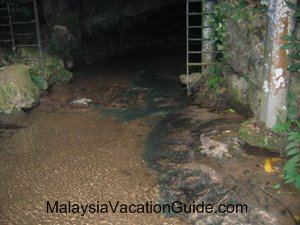 You will cover all the three tours mentioned above plus going towards the east end of the cave and coming back through the underground river. 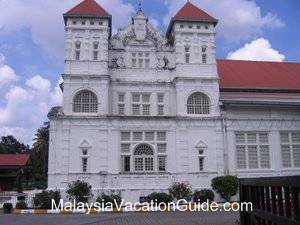 Tour Time: 9:00am to 11:00am everyday. Remember to bring the following items to make your caving exploration a memorable one. 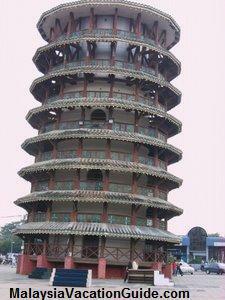 If you are driving from Kuala Lumpur or Penang, head for PLUS North South Highway and exit at Gopeng Interchange. Follow the signboard towards Kampar town using the Federal Route 1. 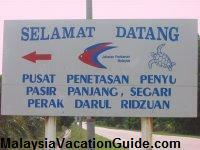 After travelling for about 5km, you will see a signage that directs you to Gua Tempurung. 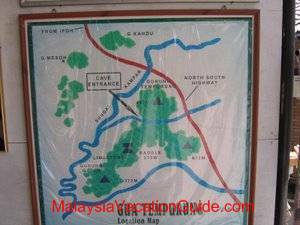 Turn left and go straight for about 2km and you will reach Tempurung Cave. The underground cold river water that you will experience if you take the wet tour package. The location map of Gua Tempurung. 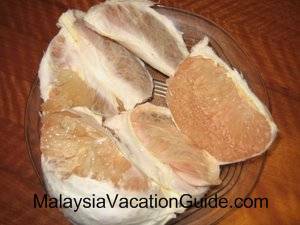 Drop by the stalls along Jalan Gopeng and try the famous Tambun Pomelo along Jalan Gopeng, near the Sam Poh Tong cave.